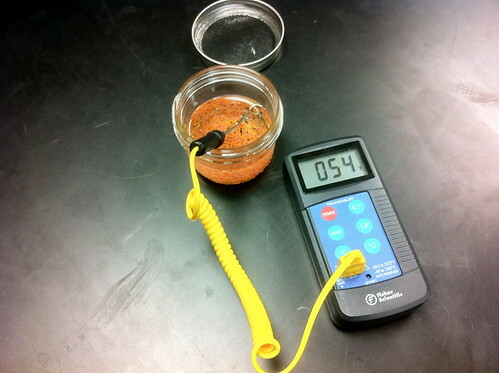 Last week I delivered eyed Kamloops Strain Rainbow eggs as part of Trout Unlimited’s TIC program to Bel Air High School. About 160 students will be exposed to the TIC program and the students will rear the fry, learn about basic water quality needs and release the fingerlings in the spring in regulated trout waters in the State of Maryland. 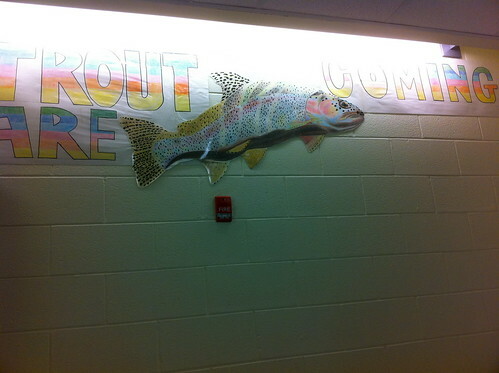 The wall art adorning the halls was quite inspiring! Once the fertilized eggs hit 54 F, (approximately the same temperature as the receiving waters) they are ready to go into the brooding baskets in the TIC tanks and should hatch out in just a few days. This entry was posted in news on January 6, 2012 by Theaux Le Gardeur.